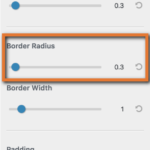 Silly Question: I changed the border radius but can’t change it back. 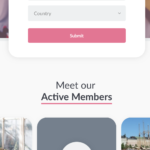 Home › Forums › Gwangi – Dating & Matchmaking Community Theme › Theme Customizer › Posts › Silly Question: I changed the border radius but can’t change it back. This topic contains 3 replies, has 2 voices, and was last updated by Themosaurus 8 months ago. I change the border radius of all elements on my website. But I can’t find the setting anymore. Can you tell me where it is? You can find that setting by opening the theme Customizer and then going to Posts > Posts Page then open the Item tab and there you will find the Border Radius setting (please review attached screenshot). We hope this helps you! The topic ‘Silly Question: I changed the border radius but can’t change it back.’ is closed to new replies.